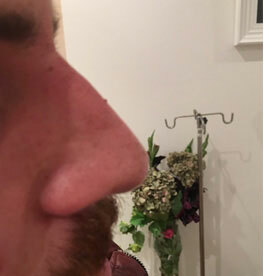 Why have Nose Reshaping at Therapy House? Non-surgical nose reshaping can be achieved using dermal fillers. This treatment is all about giving your face greater balance and sculpting your nose without the risks, pain and recovery associated with surgery. 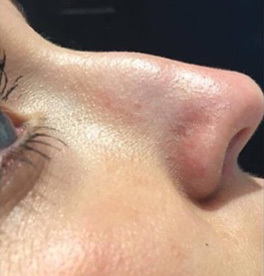 By making subtle changes to your nose, it can make a big difference to your appearance and the results can be modified and enhanced in the future. Rhinoplasty is one of the most desired cosmetic procedures because the size and shape of a person’s nose can dramatically impact on their overall appearance. Understandably, you may not be keen about having surgery because of the recovery times and the risk of unfavourable but permanent results. Non-surgical nose reshaping using dermal fillers is a low risk, non-invasive and reversible alternative. 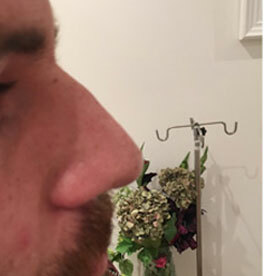 What issues can non-surgical nose reshaping address? Non-surgical nose reshaping can also be ideal if your nose needs some refinement after a surgical rhinoplasty procedure. During your initial consultation, we will spend some time talking to you and analysing your appearance – particularly how your nose looks and relates to your other features. We will photograph you face on and in profile, and answer any questions you have. We will ask you to come in to the clinic 30 minutes before your treatment appointment so that we can apply a topical anaesthetic to numb your nose and make the procedure as comfortable as possible. 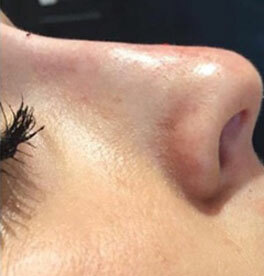 During the treatment itself, we will inject small amounts of dermal fillers into precise locations on your nose before gently massaging the product into the correct position to reshape your nose. You will be fully awake during the procedure, which we’ll carry out in front of a mirror so that you can give us your feedback throughout the treatment. The procedure will take 30-45 minutes. You will see the results of your treatment immediately. There may be some initially swelling and bruising, but this usually goes down within a few hours. Most people find the effects of non-surgical nose reshaping using dermal fillers can be seen for up to a year after the treatment. We can create a plan for regular follow-up treatments to maintain the initial result or, because dermal fillers are temporary, you have the option of refining your treatment over time. Dermal fillers have an excellent safety record and they are well tolerated by most people. After your treatment you may experience one or more of the more common side effects, such as bruising, swelling, redness, tenderness, and even slight bleeding at the injection sites. These usually disappear within an hour or two of your treatment, although they can persist for 24 to 48 hours. In rare cases, people have had an allergic reaction to hyaluronic-based dermal fillers. If you have any concerns at all, please call us. Many people find that they carry on with their day straight after they leave the clinic, but you may want to arrange some downtime if you experience any bruising, swelling or redness until these issues resolve. Avoid sun beds and saunas for three to four days We may advise you to avoid wearing heavy glasses or sunglasses for up to two weeks after your treatment. Want to know more about Nose Reshaping?